A man being a part of NATURE when seeing its beauty, admiring majestic mountains, stunning valley view, sun set, when smelling freshly blossomed flowers during the spring walk, when feeling the closeness of nature with the true heart of the spirit feels felicity, freedom, happiness, the happiness of return to nature. We are not only a part of nature, we consist it, therefore our duty is to take care of it the same way we take care of ourselves. Remembering that we will acquire harmony not only with nature but also with ourselves. Even though NATURE whips us with the rod of time causing aging and painting wrinkles on our faces, we need to accept it, as it is our NATURE which demands love, respect, care and acceptance. It’s going to give us everything it’s got instead. When we reach our hands to nature we will get the warmth of Moroccan sun enclosed in every drop of argan oil, burning heat of Arizona hidden in Jojoba, tiny Abyssinian flowers will blossom in our hearts from small seeds as they do in the real world. We will feel breath of tropical Polynesian warmth concealed in a green hint of Taman tree oil. We will discover secrets of legendary Inks screened in Inca Inchi nuts. Subtle smell of Moni will take us to the ocean’s beach covered with colours of setting sun on the Tahiti beach. 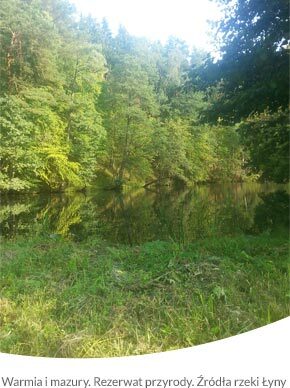 Silkiness of face creams will let us feel beating with freshness, green heart of Warmia and Mazury region in Poland. As only nature possesses a multitude of ingredients which magically release beneficial qualities to life, health and beauty. Discovering MK Cosmetics you will discover the NATURE’S miracle hidden in natural ingredients which they consist of. Getting to know our products will introduce you to NATURE which combined knowledge passion and love creating MK Natural Cosmetics and it has done that especially for you. Let’s live in harmony with nature and ourselves every day.